﻿ About your holiday onboard - Sail In Ionio, Sailing in Lefkada. Best prices in Lefkada island.Sail In Ionio, Sailing in Lefkada. Best prices in Lefkada island. Our sailing area is mostly in Ionian sea (Ionio Pelagos). The afternoon breeze makes it an ideal area for sailing and there are many places of historic interest to visit. 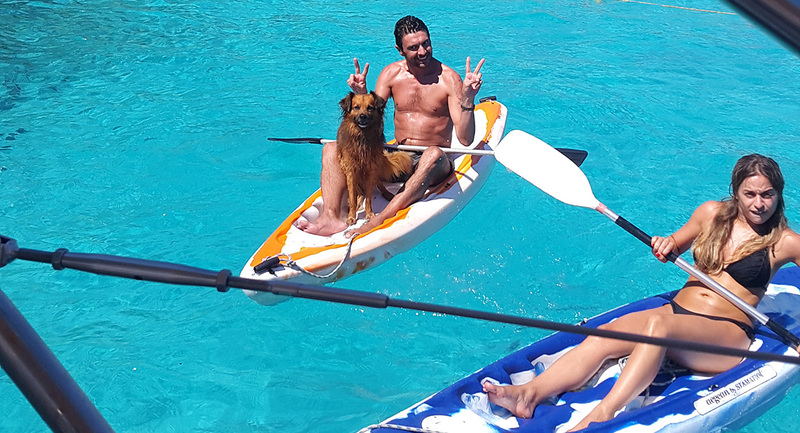 Captain Nikos will sail you to quiet sandy beaches in picturesque caves where you can anchor for a stroll in the cool shade of an olive grove, or enjoy an afternoon of water sports such as swimming, snorkeling, kayaking or windsurfing. Summer nights in Ionian Sea are quite magical. A crewed charter in Ionian Sea is an ideal vacation choice for family or friend groups, first-time charterers, special occasions (honeymoon, anniversary, birthday, etc). We provide sailing holidays for people who are not sailors themselves, but who would like to travel in the comfort and luxury of a crewed sailing yacht. 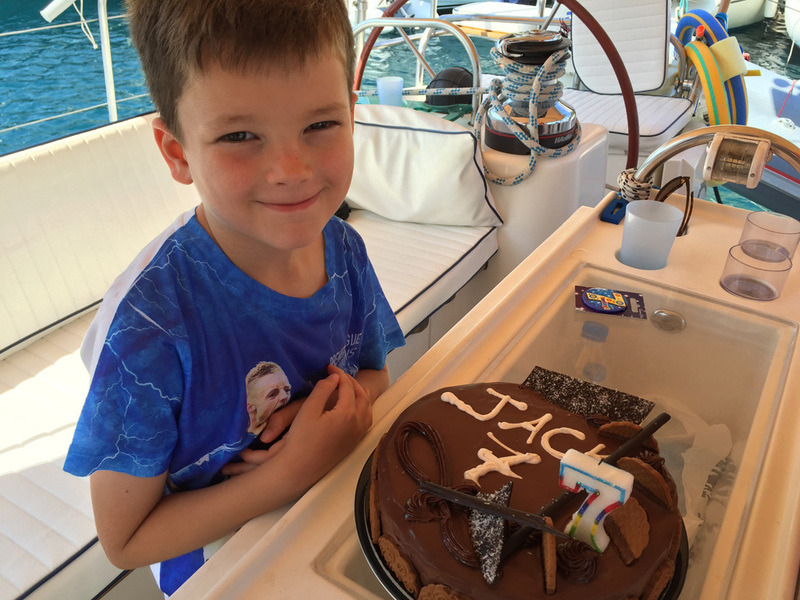 Relaxing for Parents: Parents can sit back and enjoy quality family time with the responsibility for the yacht, meals, plus daily activity planning left to their professional Captain Nikos and Cook/Hostess Lesley. Fun for Kids: Kids have plenty to keep them entertained aboard between sailing, snorkeling, tubing, kayaking. Easy Sailing: Discover a new island each day, protected waters, shorter sails, plus wide variety of excellent anchorages to choose from. Honeymoon sailing trips: Ionian Islands offer an idyllic setting for your sailing honeymoon trip with a new island destination each day, plus a variety of secluded anchorages and beaches to choose from and explore during your charter. Rest assured that the professional crew on board BLUE MARLIN or BEBELA will ensure honeymooners are provided with the perfect blend of top-notch as well as discreet service to suit your needs. Our crewed yacht charters are organized on two yachts, BLUE MARLIN OCEAN STAR 51 exclusive with 4 en-suite double guest cabins, plus 1 double en-suite crew cabin and BEBELA BAVARIA 41 with 2 en-suite double guest cabins, plus 1 double en-suite crew cabin. They are both fast and comfortable, built for charter in the Mediterranean Sea and not only and they are maintained in immaculate condition. 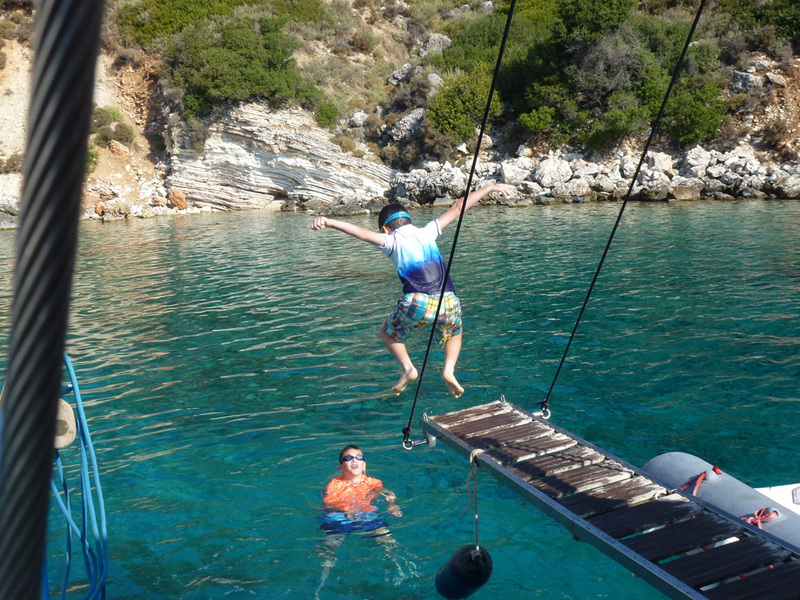 We arrange the details of your Ionian sailing holiday personally. We have been providing bespoke sailing holidays in Greece for more than 30 years and have the experience to ensure you have a truly memorable holiday.